CHALET LES LOUPS IS SITUATED IN THE SMALL VILLAGE OF MONTROIND ONLY MINUTES FROM THE RESORT TOWN OF MORZINE AND THE NEW ARDENT SKI BUBBLE. THE CHALET IS THE PERFECT SPOT TO COME BACK AND REST AFTER A LONG DAY ON THE SLOPES. WIND DOWN IN FRONT OF A COZY FIRE OR SIMPLY CHILL OUT IN THE LUXURIOUS HOT TUB. CHALET LES LOUPS IS ONLY AN HOUR FROM GENEVA AIRPORT, MINUTES WALKING DISTANCE TO THE NEAREST RESTURANT, BAR AND GROCERY STORE, AND A FEW MINUTES DRIVE INTO MORZINE. 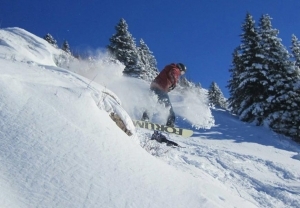 THE FREE BUS SERVICE TO AND FROM THE SLOPES IS ALSO WITHIN A MINUTES WALK. DON’T FEEL LIKE COOKING OR LEAVING THE CHALET TO GO TO AN EXPENSIVE RESTURANT? CHECK OUT OUR SERVICES PAGE FOR MORE INFO ON OUR AFFORDABLE CATERING SERVICES AND MORE.